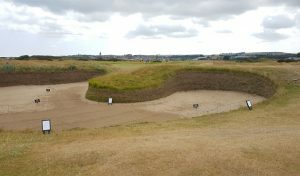 The Links is home to more than just golf. 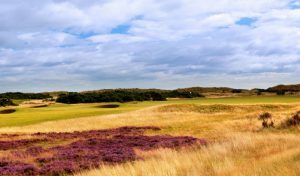 There is a vast array of wildlife that create habitats in the surrounding dunes, long grass and bushes. 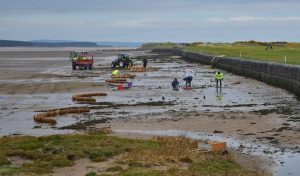 We like to give nature a bit of a helping hand too. 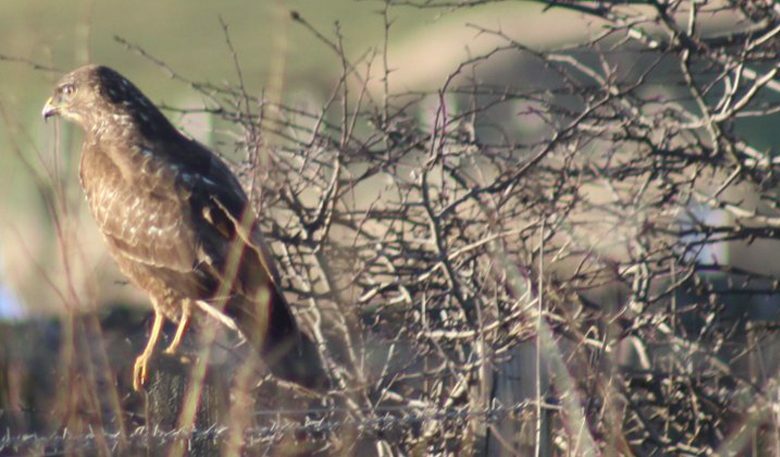 Kestrels are a somewhat familiar sight with their pointed wings and long tails and can be seen hovering over gorse bushes looking for their next meal. However, over the years their numbers have declined so we’ve been doing our own little bit to help them along. 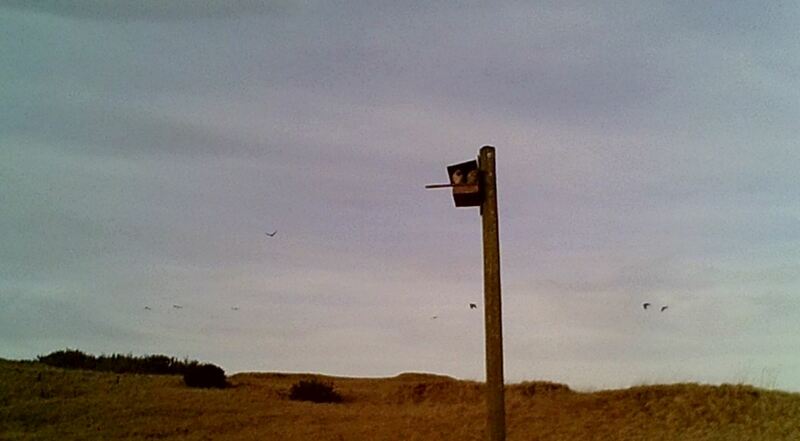 In 2013, The Castle Course Greenkeeping Team noticed several birds of prey flying around and the idea was hatched to build a nesting box to try and encourage one of them to nest. 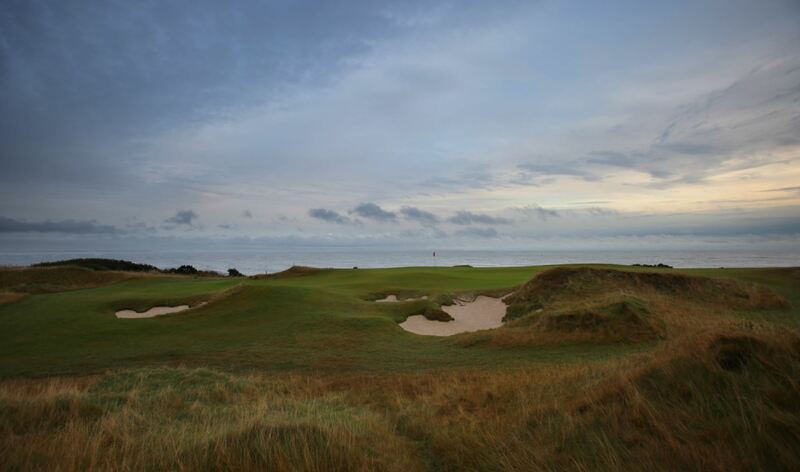 One was built using an old telegraph pole and positioned out by the 14th hole. Initially, the only interest it attracted seemed to be from the crows. 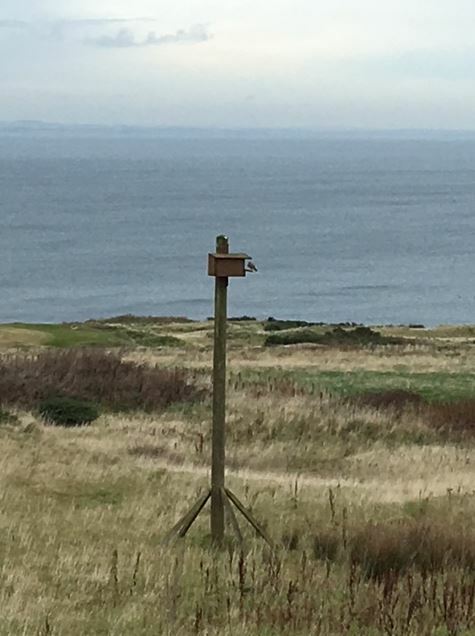 Earlier this year though, the nest box was re-positioned to behind the 12th hole and a few months later a male kestrel was spotted flying in and out. On another occasion it was also spotted fighting off the crows that were showing an interest in the nesting box which means it has a mate! 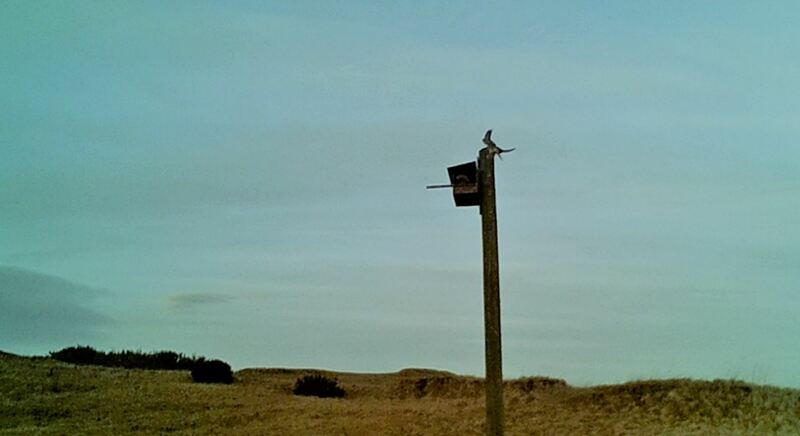 Camera equipment was set up and both the male and female were spotted at the nesting box. The male can be identified by the fact its thinner and more grey in colour. Below, you can see the male flying back from a hunt carrying some food. We’ll keep the cameras on with the hope of spotting the young soon! Hell for some, home for others!